The flourishing genre of the comic opera had its roots in eighteenth-century Italian opera buffa, whose irrepressible brio was soon taken up outside the country�s borders. In France it produced op�ra comique and operetta, and in German-speaking countries Spieloper and Viennese operetta. 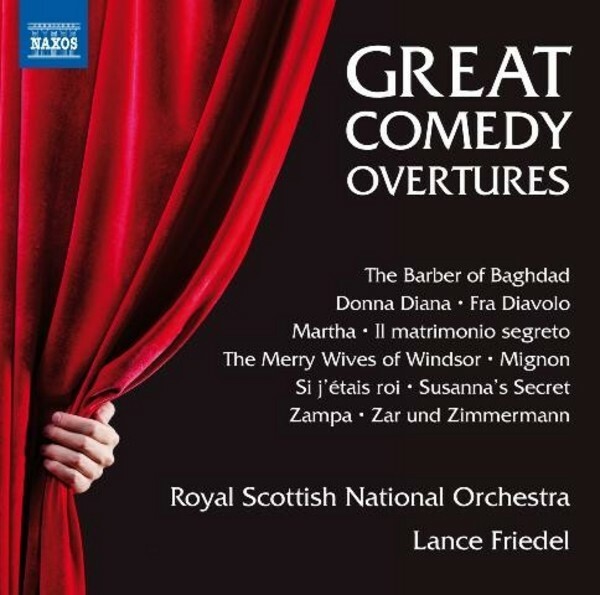 Some of the world�s most popular comic opera overtures, filled with gorgeous tunes, brilliant orchestration and race-to-the-finish endings, are presented here. They include staples of the concert repertoire such as H�rold�s dramatic Zampa, the textual delicacy of Wolf-Ferrari�s Il segreto di Susanna and the vivid colour of Lortzing�s Zar und Zimmermann.